Moving Locally in Hobart or Tasmania? Our customers recommend us to others because they trust us and we do a good job. We’ll not only give you a competitive price, but we’ll also give you advice on packing, and the appropriate special cartons and packaging materials that will keep your belongings safe during the removal process. At Bells Removals & Storage, our staff are specially trained in the latest removal techniques to streamline the process. You will find them to be professional and reliable because they are trained to work with you. We offer a range of local removal services. You can choose a full door-to-door service or one where your goods are professionally packed and unpacked, or you may just need a man or two and a van or truck hire. 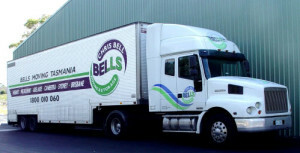 Or if you need storage in-between, Bells Removals & Storage has you covered with our modern, secure storage facility. Maybe you’d like us to move the heavy items of furniture and that’s it? That’s fine too. Our services can be customised to suit your specific needs. To ensure the safety of your most precious items including breakables we recommend that Bells Moving and Storage professional packing teams pack them for you for insurance purposes. You’ll be pleasantly surprised by the cost of our packing service. Our services are competitively priced to provide customers on a tight budget with high-quality professional removal services. We at Bells Removals & Storage will advise you if you need to make an appointment for an obligation free quote by our helpful Sales Consultant, who will visit your home or office and discuss your move. If you have a computer you may wish to use our online quote form. Or you may just need a phone quote. Either way, you will be offered friendly, helpful advice from our sales team who will help you to plan your move. And we make sure you receive your obligation free quotation within 24 hours. Whether you are from Hobart or Launceston, we service the whole of Tasmania and the rest of Australia for your convenience.